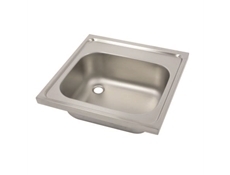 Description: A plain top of Stainless Steel with no tap holes, no upstand, edges rimmed and turned down, underside sound-deadened with smooth, impermeable, easily cleaned material. 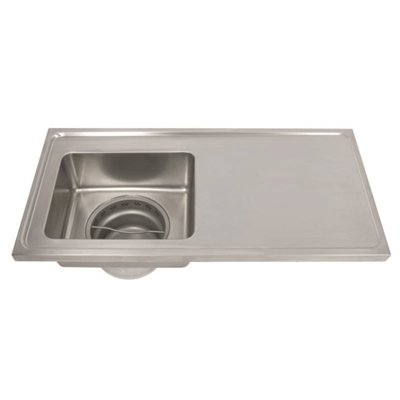 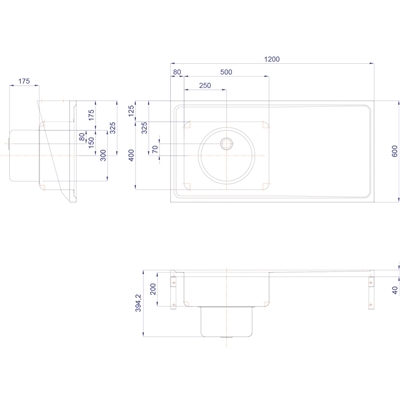 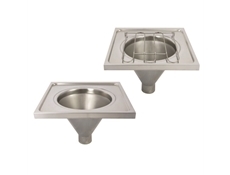 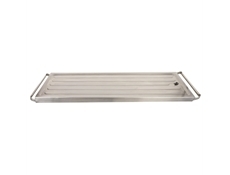 The top incorporates a rectangular sink bowl without overflow with a round sump, containing a partially perforated Stainless Steel basket and covered by a close fitting Stainless Steel cover with plunged handle. 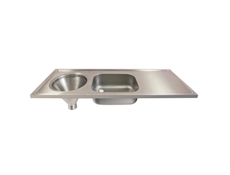 Available with two bowl sizes.